Last Day to Enter to Win Books for a Year! The always informative January Magazine has prepared a number of different “best of” book lists for the year. The one for crime fiction is in two parts. Some of the names on the list are familiar, but others aren’t. You can find part one at http://tinyurl.com/26rpfvd and the other at http://tinyurl.com/27y9m68. They’ve also compiled a list of best cookbooks, best fiction and nonfiction, plus art and culture books which are also worth checking out. So, happy reading, and all the best for the new year! The book trailer video for my bestselling romantic suspense, Lancelot's Lady, has been entered in the You Gotta Read Videos contest for December. It is entry #6 and I hope you'll check it out and vote for it. My trailer was created by the talented Kelly Komm, who is also an author. Thanks, Kelly! Thank you to everyone who votes for Lancelot's Lady. I so appreciate your support! Have an awesome Christmas. How dweeby can you get? But it's true. I love to write. It's my favorite thing to do--make up stories and please people with them. If I had been Scheherazade, and the Sultan had told me I didn't have to make up a story every night any more, I probably would have kicked him in the shin so he'd make me make up stories again. The hard part, for me, is shaping the stories. Coming up with a story arc, a plot, an outline--making sure I have the details straight: those things are hard, for me. Yet, this year, I've learned to enjoy those hard things. I don't know quite what flipped the switch. Part of it was my nephew, Joshua Stephen Allen, telling me to woman up and write a three-sentence outline of the three acts of my book: One sentence for the set-up and build-up, one sentence for the obstacles and one sentence for the solution(s) and outcome. That was vague enough that I could do it without feeling like I was putting on a straight-jacket. And it actually made it easier for me to write spontaneously, because I didn't have to worry that I was going to fall off the edge of a story line and tumble to the book's death. Now I'm working on a story bible for the series I have going, and that's being fun, too. My series is set in a neighborhood, and I've been stalling: I didn't want to research the length of a city block and the number and size of lots and all that, but I've done it. Now I know how many people live on the block. I know who some of them are, because they've been in the books and stories already. I'm going through a book of house plans and deciding who lives in what house, which is making me think, "What kind of person would live in a house like this? Is it a good house for them, or a not-so-good house? Why?" So, pretty soon, I'll have ideas for characters and ideas for plot points and then I'll have outlines for the rest of the books in the series. Hard work, but I'm having SO MUCH FUN! Ah, December ... it’s great for socializing, shopping, eating, movie-watching, and quality family time. What it’s not good for, I’ve discovered over the years, is writing. This is particularly true for those of us saddled with most of the Christmas preparation work. My hubby’s job is to buy the liquor and haul the tree home, and even that we stopped doing seven years ago when we bought an artificial tree. Happily, my kids are old enough to help with preparations now, although with one busy studying for final exams and the other not old enough to drive, I’m still doing a lot of running around. I used to rail against my diminished writing time, but over the years I’ve learned two things. One is that whatever writing time you lose in December you can probably make up for in January because nothing’s going on then, and who wants to see the inside of a mall again? Secondly, getting older has made me appreciate the quality time I get to spend with my family. Older relatives are no longer here, time is fleeting and, in the end, family time is more important than anything. And whatever you celebrate with the coming days off, have a wonderful time. Today my article on remembering loved ones and grieving during the holidays is featured at the National Crime Writing Month blog. Holidays are particularly difficult for anyone who has lost a loved one. I hope my words are of some small comfort. Second Wind Publishing is running the best contest ever! The winner will receive a copy of every book published by them in 2011, which will include my latest, Light Bringer. If you have not yet signed up for Second Wind Publishing's contest, you can go to my blog and leave a comment: http://ptbertram.wordpress.com/2010/12/12/win-free-books-for-a-year/. That's all you have to do to enter. Three people chosen at random from those entries will also receive an ecopy of one of my books (their choice). I hope one of you win! Keeping it in the family, so to speak. 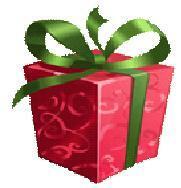 Are Christmas Craft Fairs Profitable for Book Selling? Over the past few days, I sold my mystery novels at two different Christmas craft fairs. In the past, my day jobs—always involving weekend shifts—kept me from participating, but self-employment has provided more selling opportunities. I’d heard mixed reviews from other writers who’d sold fiction and nonfiction at Christmas fairs, so I was curious to experiment. The first event was hosted by my local fitness center for members, so it wasn’t advertised. The fair was five days long. I split the cost of a table, and was able to come and go as I pleased. This was a real communal effort from sellers, where everyone looked out for one another’s table so we wouldn’t have to stay all day. Because Taxed to Death and Fatal Encryption both feature the adventures of tax auditor, Alex Bellamy, I wrapped some of them in cellophane with a ribbon and bow, and sold them as an autographed set at a discounted price. I discovered, though, that just as many people bought unwrapped sets for personalized signing. In the end, I made over $250 in profit, and sold more books than I thought I would for a center with only 150 members. The best part was that I received some good tips about future craft fairs for next year, and chatted with a lot of people I didn’t normally see.
. Book well in advance for the popular ones. I have to book now for some of next year’s events.
. Don’t book a table that costs over $100, and split the cost with another writer.
. Presentation is important. A festive table cloth, some gift-wrapped books, and promo materials will help draw people to your table.
. Talk to people. You learn all sorts of things.
. Have a large enough float to make change. Bank machines spit out twenties, and that’s what people carry.
. Accept checks. Not everyone carries cash.
. Have fun. Going in with a positive attitude makes all the difference. How Old are Traditionally Published First-Time Authors? Earlier this year, the Humber School of Creative & Performing Arts conducted a survey to find out how old the average prose writer is when he(she) publishes his first book through a traditional publisher. The survey did not include academic writers. 1,500 questionnaires were sent out last spring and 475 writers responded. Survey results show that the average age of a first-time published author is 42, which is older than the survey team thought it would be. 42, huh? Isn’t this the answer to the meaning of life spewed out by that super-computer in The Hitchhiker’s Guide to the Galaxy? Well, let’s face it; traditionally publishing your first book does provide one’s life with meaning, I suppose. And the Hitchhiker’s Guide came from the imagination of a writer, the late great Douglas Adams. Frankly, I’m a bit surprised that the average age is only 42. I know of several writers who took about twenty years just to find a publisher for their first books. And I know of one writer who traditionally published his first two books this year at age 87. My first traditionally published book, The Opposite of Dark, will be out this spring, and I’m 55, so, you see, there’s plenty of time for you aspiring writers out there. As we age, our focus of attention widens and we can actually take in more information. We also become better problem solvers -- able to take the information soaked up from one situation and apply it to another. And at the same time, when we take new information and combine it with what we already know, this creates opportunities for “smart recombinations” -- a technique used by designers to generate new possibilities by connecting bits and pieces of existing ones. How do you design your life so that you can continue to take in new and useful information? The answer, Bruce Mau suggests, is to intention and constantly “keep moving away from what you know.” People tend to design their lives and careers so that they remain on firm and familiar turf, intellectually speaking. They go with what they know. Authors are always told, “write what you know,” but apparently that isn’t the wisest decision if you want to continue to expand your expertise. Some creative writing instructors have changed “write what you know” to “know what you write.” In other words, research, which is one way to keep moving away from what you know. Another way is to travel then use the locales visited as the basis for stories. Do you write what you know or write what you know? How do you find out what you need to know? Do you keep moving away from what you know, or do you tend to remain on familiar turf? Does your writing also move away from what you know, so you end up writing books you had no idea how to write when you began writing them? That last question may seem silly, but that’s what I do -- write books I have no idea how to write. If I know what and how to write them, I don’t see any reason to actually put the words on paper. I need the challenge of figuring out how to write something I’ve never written before. Obviously, this is not the way most authors feel or act, considering the plethora of series. A major drawback to this need for challenge is that since I don’t know how to write the books I write, it gives me a good reason to procrastinate while I figure it out. A major plus is when the book comes together, such as in my upcoming novel Light Bringer, and I find myself astonished at having written something that seems beyond my capability to write. But I did write it. As for moving away from what I know, I’ve been doing that for the past eight months. I am no longer in the same place, living the same life, writing the same stories as I did back then, and I am continually trying to find new ways of moving away from what I once knew, which I am hoping will add depth to future writings and meaning to my life. Pat Bertram is the author of More Deaths Than One, A Spark of Heavenly Fire, and Daughter Am I. A special welcome to Jeff Rivera, author and entrepreneur. I've known Jeff for a few years and am happy to call him my friend and writing/publishing associate. Jeff has helped many authors find success, either by connecting them to fabulous publishers, agents or editors. As any book publishing professional will tell you, now is the time when the industry goes on hiatus. But guess what? This is one of the best times of the year to pitch agents. Why? Because agents may slow down during the hiatus period but they cannot help but sneak a peek at their email. I know because I deal with literally hundreds of literary agencies every year. They're constantly searching for the next hot thing to represent. And if it's sent to them now, they will have enough time to spit polish it before the industry starts back up again in January. What's so special about January? Editors come back from the holidays with a fresh new perspective. They're also loaded up with their expense accounts all over again so they'll be ready to rock n' roll when they use those accounts to lunch with your new agent. Expense accounts are often on a "use it or lose it" basis. If the editor didn't use all their "lunch money" last year they'll receive an even less amount this year. It's also around the time when editors and editorial directors have set or about to set their editorial schedules. So, what better time to submit to agents! If you have something solid and ready, get your query letter together. And it better be good because you only have one shot with these agents. What are agents looking for right now more than ever? 1) Middle grade - If you've written the next Diary of a Wimpy Kid, especially a funny book for boys now's the time to pitch it. 2) Young Adult fiction - Hot, Hot, Hot! If you have a YA book, nothing's hotter in the industry. It's the one genre that has not dipped in sales tremendously. In fact, agencies are adding more agents to their rosters, specifically looking for this genre. More agents means more opportunities for you. 3) Graphic novels - If you're an author who has had a difficult time selling your novel, think about adapting it as a graphic novel. The great thing is, you don't have to be able to draw. Simply align yourself with a great artist. Create a 5-page sample of your work, a detailed summary and presto! That's all you need. 100% of the clients we've done this for have gotten agents. 4) Celebrity Memoirs - If you've got connections to celebrities, even D-List Reality TV star celebrities, this is a sure bet. Submit a solid book proposal "co-written" or ghost written by you and your hot celebrity and two things will happen: 1) The sun will rise tomorrow 2) An agent will request to read your proposal. 5) High Platform Nonfiction - If you have a huge opt-in mailing list, are the president of a large charity or organization, own your own PR firm, or have strong media connections, now's the time to write a book. Remember, if it's a nonfiction book, you only need write a book proposal, not the entire manuscript. With a strong platform, you'll have agents chasing after you instead of the other way around. 100% of the clients we created book proposals for have landed agents and damn good ones within a week or two. Remember, you only have one shot with these agents. So, make sure your query letter is as solid as possible. If you need help writing a winning query letter, contact: cheryl@gumbowriters.com and we'll help you. 100% of the query letters we've ghost written have received at least 10 top agents that have requested to read their manuscripts or proposals. A few years ago I used Jeff's query service. I was stunned by the response, especially after years of "following the rules" on how to write a query letter. Jeff breaks those antiquated rules and delivers a query that really grabs agents' attention. I had dozens of requests for partial and full manuscripts, and after a couple of weeks I signed with a reputable agency. My agent has been so supportive and a real cheerleader in everything I do. I highly recommend Jeff's query service. As every writer knows, book promotion is vital and, happily, much of it can be carried out from the comfort of home, at our convenience. Goodness knows, there are a growing number of venues to promote your books. My favourites are Twitter, Facebook, Goodreads, Authorsden, kindleboards.com, and amazon forums. I try to visit these venues at least once a week, and I type a couple of messages on Twitter everyday because it’s so quick and efficient. Over the past two years, I’ve seen the same names crop up countless times on the amazon forums. I’ve gotten to know a number of people there, and we share bits of our personal lives, plus our publishing triumphs and tribulations with one another. They’ve become my electronic pen pals, so to speak. I’ve noticed, though, that two or three people on the forums promote their books over and over again everyday. I see the same plug as much as ten times a day and, frankly, it’s become annoying, even though it takes me only brief seconds to delete their posts. I’m not the only person who feels this way, as I’ve read muttered complaints before. For me, it’s become a turnoff from wanting to buy these authors’ books. It’s also an important lesson: if we want to promote our books to readers, we should carefully consider what we want to say and how often we plan to say it. Nobody wants to hear from someone who’s worn out his welcome, and wouldn’t the time be better spent working on that next book anyway? Two Great Events for Writers and Readers! Before I start with this week's blog, I'd like to thank those kind people who wished me luck and encouragement regarding last week's blog. I really appreciate it. Those longstanding household projects I'd mentioned are now finished. Also, two opportunities for selling at Christmas craft fairs have come up this week. These are actvities I wouldn't have had time to do if I'd kept the day job. There you go, something for everybody! Everybody is chattering about National Novel Writing Month this month, since this is it, and why should I be any different? My advice on how to approach it and how to get through it is the same as my advice for anything involving writing: Do Whatever Works. Now, the first thing to remember about NaNo is that it isn't a job. It isn't something you have to do, even if you've signed up for it. The purpose of it is to encourage you to sit down and disconnect your inner editor and just write as freely as you can. There isn't a "right" way or a "wrong" way. As far as I'm concerned, there is no "cheating", since the only "prize" is the words you write. Are you starting with a project you got stuck on halfway through? Go ahead! Do you have a detailed outline already? Fine! Do you want to turn a series of unrelated short stories into a coherent storyline? Sounds awesome! Do you have a vague idea and want to use NaNo to rough out a detailed outline? I'm like, "Cheat, schmeat--just write!" Friend: I've written 24,000 words so far this month! You: I've organized my Thanksgiving and Christmas recipes and made out a shopping list. Come December, they'll have a rough draft, a caffeine crash AND they'll be heading into the Christmas crush, and you'll have your recipes organized and your shopping list made. If you do NaNo, don't let it become a contest between you and your buddies. It's tempting to feel pressured to write faster, write more words, and that's kind of the point. But if the pressure feels uncomfortable or unpleasant, unplug yourself from that. There's no law that says you have to post your word count publicly. Your words aren't anybody else's words; they're your words. NaNo is a chance to dedicate some time each day to writing, which you may or may not do anyway. It gives you some leverage with loved ones who may not think to grant you that time ordinarily, a chance to say, "No, I can't do that. I'm doing NaNo, and I pledged to write 1,670 words every day." People who don't write tend to be impressed by numbers, and they'll go, "Oh! That's a lot of words! I'd better let you get to it, then." That's one thing NaNo can do for you. NaNo can encourage you to let go and throw yourself through the story without worrying if it hangs together. If you can't do that (and I can't), maybe it can encourage you to throw yourself a little farther into the story than you are and see if it comes together or sparks some ideas for farther along. I write 250 words at a time. That's just the way I roll. 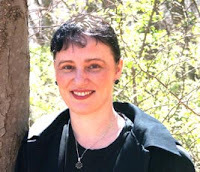 Marian Allen is the author of EEL'S REVERENCE, a fantasy published by Echelon Press. A little over two months ago, I quit my day job. I’d been pondering this move for several months, weighing the pros and cons, discussing this with my spouse and a few work and writing colleagues. A number of factors at my job contributed to the decision to leave, but the most important decisions were personal. You see, I turned fifty-five over the summer and while my birthday wasn’t a particularly big deal to me on the day, over the following weeks I found myself pondering my working future. Did I want to continue with salaried employment? Now that I had a publishing contract with a potential for more books to be published in this series, should I become a full time writer? Would I be happy spending most of my days in front of a computer screen? Would I be productive or grow lazy because I no longer had to account for my time? Would I gain weight?? Well, the short answer is that I am happier and more productive than I was while juggling the day job and family responsibilities with writing and promotion, but I’m not yet as productive as I’d like to be. In some ways, I’m still adjusting to the fulltime writing life. Certainly, I’ve been able to attend more book events. I’ve gone to workshops, given a workshop, participated in the Surrey International Writers’ Conference, done a little more promotion, and consequently have sold more books than I would have if I was still in the day job, but there’s always more to do, more I feel I should be doing. The 37 hours a week not spent at the day job and commuting aren't translating into 37 extra hours of writing and promotion. So, what am I doing? Well, I’m exercising twice as much and cooking more dinners than I used to. I’m even baking a little. My family likes it, although my daughter, who’s never known me to bake anything except cookies at Christmas, said “What’s up, Mom?” It was a good question. The answer is that I’m giving myself permission to do many of the things I’d been thinking about doing for months. I’ve started a few small household projects and am now purging my bursting filing cabinets of articles, newsletters, and other things I no longer need. It’s a project I thought I’d do when I retired. The thing is, I’m not really retired at all. I’m self-employed, and now that I’ve distinguished those two things more clearly in my mind, I’m ready to step up my creative output, just as soon as I purge the last four cabinet drawers. A few weeks ago, I caught an interview with writer/screenwriter Aaron Sorkin on The View. He said something about his writing process that I’ve been mulling over ever since. He told Barbara Walters that “because he can no longer rip a piece of paper out of his typewriter and crumple it up, he uses the shower as a way to jump start his mental reset button.” In fact, he went on to state that he often takes six to eight showers a day while he’s writing. Watch the entire interview here. This is striking to me for many reasons. The first is that I’d listen to any advice from Sorkin because he is arguably one of the most gifted screen-writers working today. Is his shower jump-start process a good idea? Maybe so. The proof is in the writing and his success. (I would love to conduct a non-scientific experiment on writing and showering - though as the mom of two young children, I'm not guaranteed even ONE shower per day.) I do give myself the luxury of vacuuming after I've finished a scene. Yes, I said vacuuming. I like to do it and it's one of those things that is good for stretching out the body after you've been in the writing position for an hour. But with our slim little computers, are we modern writers handicapped by this lack of physical exchange with our bad pages? Think of that Seinfeldian scene where Jerry tries to angrily hang up on someone, only to be defeated by the meek gesture of pressing a button. It didn't really send the person on the other end a signal, did it? The same is true for writing on a computer. If you're like me, it's not satisfying to drag a piece of work into your the trash icon on your desktop. It is a very gentile act and you only hear a simulated paper crumpling sound. So I ask - what do we do with our bad pages? Where do they go? How do we trash them – even figuratively? Do we still have a ritual for angrily deleting our lesser words? When I recognize something isn’t working, I have no problem deleting it, though it has taken me years to get to this point. I cut-paste chunks of writing to another file called “Cuts: Title of Project.” That way, if there was something in it I want to return to, I can search that file. I finally have the courage to prune the work, knowing the branches will grow back if they are needed. For years, I was scared of deleting whole sections. Now, I see it for what it is – making the work healthier by generous use of the delete key. When I get really frustrated with a scene, I have been known to highlight the entire thing and hit delete and yell at my keyboard. Still, I haven’t experienced the rip-crumple-toss and can’t help but wonder - would it make any difference to the quality of writing? What about you? Do you have a ritual for deleting bad pages? Do you have your own “jump-start” ritual like that of Aaron Sorkin? Nature or nurture? 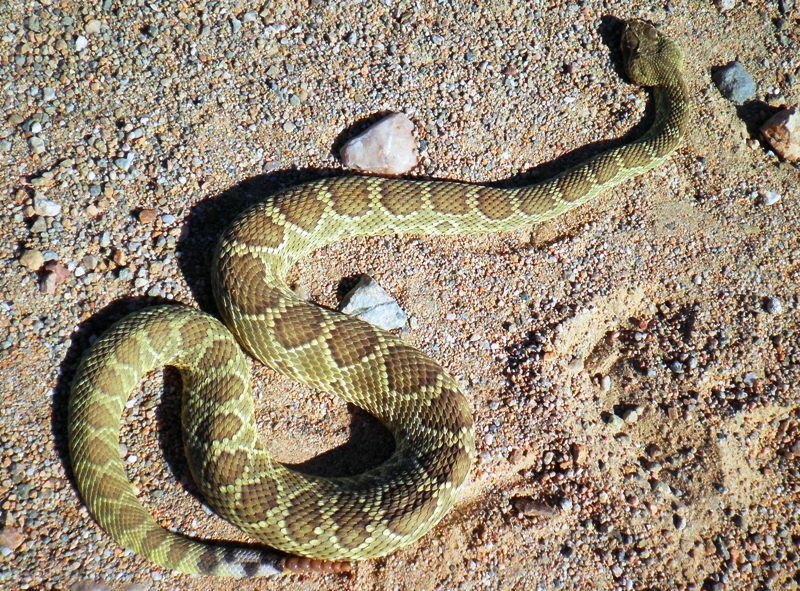 What REALLY drives our impulses? Do Print Books Still Sell? What sells, what doesn’t; what works, what doesn’t? I’ve been pondering these issues a fair bit, as I’ve had a number of interesting discussions with fiction writers over the past month who are both self-published and traditionally published, and who sell print and/or ebooks. Clearly, many authors are still looking for the most efficient and productive means to sell books, and while technology and ebooks have certainly evened the playing field in terms of visibility and promotion opportunities for authors, the reality is that about 90% of the fiction listings on amazon probably far sell less than a hundred print copies. Some of the reasons for this are poor attempts at promotion, no reviews, a poorly written book, and the fact that amazon carries millions of titles. But what about the author who promotes everyday, garners a few good reviews, and has written a fine book? I don’t have all the answers, but here’s what I and others have noticed from our experiences. First, if you want to sell print copies of your novel, then a lot of really good reviews from established reviewers can help. The reviewers don’t have to be connected to newspapers. There are some credible, online reviewers. If even one of them likes your book and posts their review on several different blogs, forums, and websites, this can help boost your sales, or so it did for me in both print and electronic formats. Second, if you want to sell more print copies, I recommend getting out there and meeting book buyers. Arrange bookstore meet and greets, and attend book festivals; even certain craft markets can be good venues. Two events I took part in this fall sold more print copies than they had in three years of selling through amazon. In fact, when I look at my stats over the past five years, the more events I took part in, the more books I sold that year. Not every event resulted in sales, but 75% of them did. On the other hand, social networking does not generate sales 75% of the time for me, although it has helped with ebook sales. The bottom line is that a good book, word of mouth, and participation are still effective selling tools. As far as print fiction goes, I don’t see technological advances changing the tried and true methods anytime soon. Thank you, Cheryl, for the opportunity to interview for your blog. I am very happy to be here. 1. What is “Ivan and Marya” about? In a few words, it can be called “the dark essence of Russian myth”. It is a fantasy with elements of romance based on a classical Russian fairy tale. The heroine, Marya, is a shapeshifter and the head priestess in her father’s cult of human sacrifice that dominates his kingdom. Marya aids her father’s cause by luring their enemies into a trap of her beauty, and destroying them. Ivan, a young man on a quest to defeat Marya’s father, walks straight into the trap and falls in love with her at first sight. 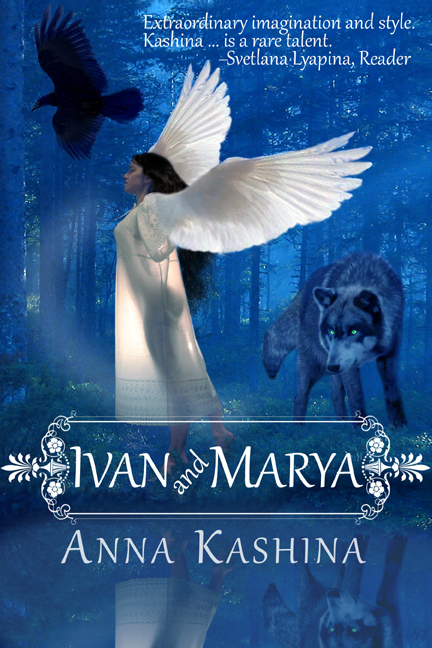 An unlikely hero, who carries no sword and has never killed anyone in his life, Ivan does not seem to be much of a challenge, but as Marya confronts him, she finds him to be a tougher enemy than she imagined. To face Ivan and achieve her ‘happily ever after’, Marya must first discover the truth about her birth and her father’s true power -- and survive it. 2. So, why Russian myth? I have always been interested in folklore and mythology. Russian myth is very rich and distinct, a blend of East and West with many twists that make it truly unique. This area is under-explored in fiction writing and those few books that use Russian folklore elements rarely make them authentic. Having grown up in Russia, I feel I can really bring an authentic feel into the story, so that in addition to an adventure and love story it also can have a different flavor compared to other fairy tale fantasies. 3. Is all your story based entirely on folklore? I carefully research all my books, so I made sure that it was not only an accurate representation of Russian folklore, but consistent with Russian history and real-life traditions. Russia at that time was a collection of small kingdoms, which have not yet embraced Christianity. The harvest god was one of the main worshipped deities, and the Solstice celebrations honored him with fertility rites and human sacrifice. Solstice celebration is one of the oldest traditions in many religions that certainly precedes Christianity. In Russia it acquired several unique twists. What is not commonly known is that, in some forms these traditions are still practiced today. When I was in school, we always went out into the woods on Midsummer eve, sang songs, made flower wreaths and set them floating in the water, drank herb tea that symbolized the ‘drink of love’, and jumped over a bonfire. We also chose a girl and threw her into the water (not to drown her, of course, just for fun :-). And, we sang a special Solstice rhyme. I tried to follow this as closely as I could in my story. 4. What is the best writing advice you've ever received? Write what you are passionate about. And, never give up. 5. Do you have a web site where readers can find out more about yourself and your books? Yes. I have an author’s web site http://www.annakashina.com/ and a blog at http://blog.annakashina.com/, where I post writing tips, interviews with authors and publishing professionals, and book information. Recently I started an ‘author exchange’ web site http://vacationreads.com/ that highlights recent fiction titles for all tastes. I always welcome friends and fans on Facebook and Twitter and MySpace. 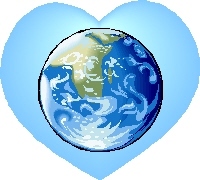 And, I highly recommend my publisher’s web site, home to many great authors and stories: http://www.drolleriepress.com/. IVAN AND MARYA is now available from most major e-book retailers (it is still not listed on amazon, but will be soon), as well as on my publisher’s web site. Anna Kashina, was born in Russia and moved to the United States in 1994. She has a Ph.D. in molecular biology and is a published fantasy novelist in several languages. Her other English language novel, THE PRINCESS OF DHAGABAD, is a love story between a princess and her djinn, set in the magical world of the Arabian Nights. She lives in Philadelphia, where she is working hard on combining her career as a scientist and her passion for writing. Last week, I finished going over the first set of proofs for my upcoming mystery The Opposite of Dark, due for release in March 2011. My job was to look at the copy editor’s suggested changes and make any last minute changes myself. This step in the production process is a culmination of input from myself, the publisher, and two editors. The copy editor made some great suggestions and I added a couple of small ones. But what struck me was that I still found three typos in the manuscript that none of us had noticed. After thirty years of writing, proofreading is clearly a skill I still need to work on. It’s tremendously important and, based on the number of errors I’ve read in published novels this year, terribly overlooked by nearly every writer. I’ve noticed a few errors in traditionally published books from small and large houses, but the vast majority of them are coming from independently published books, which is a shame. I’ve read a lot of self-published stories these past couple of years with excellent premises and great characters, but the number of typos and missing words is distracting. Really, we all have to do better. People are paying for our books, and they deserve the best we’ve got to give. On another note, I, Robin Spano, and Elizabeth Elwood will be at Black Bond Books in Ladner this Saturday, November 6th from 1 to 3 p.m. to discuss mysteries and mystery writing. So, please come join us for some fun at Black Bond Books, 5251 Ladner Trunk Road, Delta, BC. Today's special guest is Maria Zannini, author of True Believers, a science fiction romance. Maria, thank you so much for visiting and sharing your book cover experiences. If you want to stab an art director through the heart, take away her privilege of calling the shots. I was an artist and art director for more than thirty years. It's hard to let go and allow someone else to design your work. If you've never had a cover designed for you before, let me put your mind at rest. They'll pretty much ignore your ideas. It's not personal—just business. Let's take True Believers for example. • I asked for a warm color palette for the cover. They went with fire engine hot. • I asked for an elaborate font. Since the main character, Rachel is an archeologist, I thought something like carved stone would work well. After a little negotiating (read: begging) I got the font "Traditional Arabic". It was definitely better than the first choice. • I asked for the heroine to be young with exotic Middle Eastern features. After all, her father is none other than Gilgamesh, formerly of Sumer. After the kerfuffle Bloomsbury caused using a white model for LIAR, a novel that demanded a young black woman, I think publishers are becoming more mindful about casting a little closer to the true race of a character. But in this business, it's all a matter of degrees. Go too far in the wrong direction and you can create an incident of viral proportions. After the incident with Bloomsbury ended up with egg on its face. Yet all the publicity was a boon to the author by virtue of grassroots movement. So even bad covers can work in your favor if you've got an angle. I can't complain. Carina did all right by True Believers. It's not the cover I would have designed, but judging by the response, it's a cover that drives attention. And in the publishing business that's all that matters. Authors: Have you liked all your covers? Are there any you would have designed differently? Readers: Do you expect a cover to tell you what's inside or are you content simply with the tone the art represents? 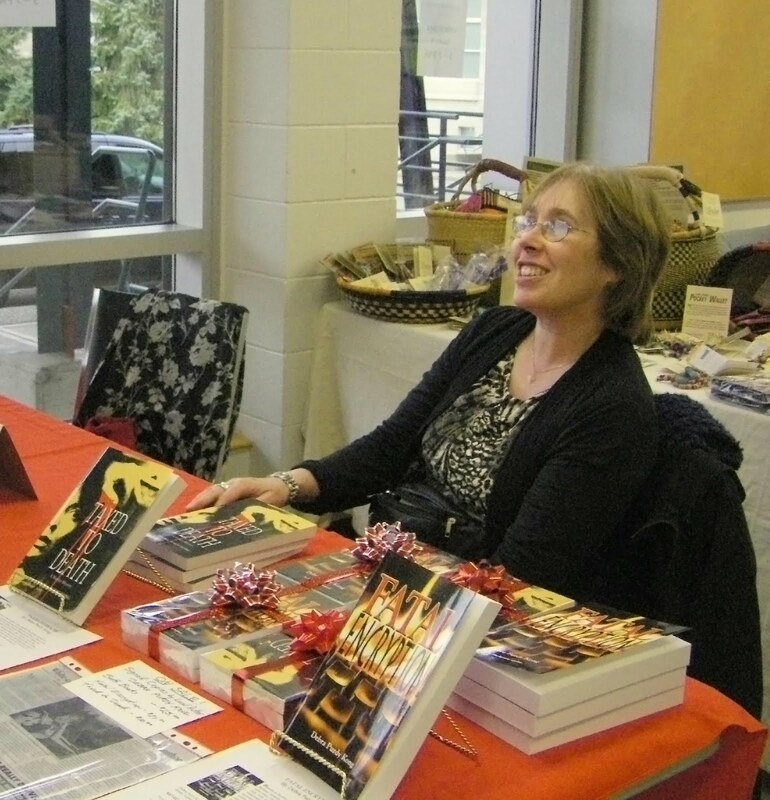 This weekend, I attended the 18th annual Surrey International Writers’ Conference. This conference for writers has been gaining a lot of attention as one of the friendliest, most informative, and fun conferences in North America, and it is. I mean, where else would you see well known crime writer Anne Perry mingling with attendees. She even sat in on a workshop offered by agent Ken Sherman that I attended, and later thanked me for helping out at the volunteer desk during agent/editor appointments. And I saw this friendliness everywhere. With about eighty enthusiastic volunteers, it’s no wonder things ran pretty smoothly. For those of you who’ve never heard of SIWC, this is a three-day event (four for those taking masters classes) that offers oodles of workshops and panel discussions on nearly every topic imaginable. While the most of the workshops focus on some aspect of fiction, there are workshops for poets, nonfiction writers, and film script writers. Three, ninety-minute workshops happen simultaneously in nine different meeting rooms, so picking and choosing a workshop of choice can be a tough decision. But you’re free to come and go discreetly, and many attendees have to because their agent/editor appointments are also scheduled throughout the day. One of the beauties of this conference is the opportunity for authors to have short, one-on-one sessions with editors and agents to pitch their work. There is also a blue pencil café, where you can have a few pages of your work evaluated. Pitch practice sessions are also offered to go over your approach before you do the real thing. This was my sixth conference over a thirteen year period. Three years ago, I had the good fortune to win an honourable mention in the short fiction category and receive an award from Jack Whyte and Diana Gabaldon. This time, I made the shortlist, but alas, no prize. Still, it was worth it to write short stories again, and actually finish a piece. For the first time, I attended a masters class, and this one was conducted by thriller writer James Scott Bell, who provided a really informative look at taking fiction to the next level. Even though I already knew many of the writing tips given in workshops, there were still a handful of intriguing ideas that have made me rethink how I approach things like setting and story structure. For anyone who’d like more information about next year’s conference here’s the link to give you more information: www.siwc.ca Enjoy! Rubicon Ranch is Days Away!! Read It As We Write It. 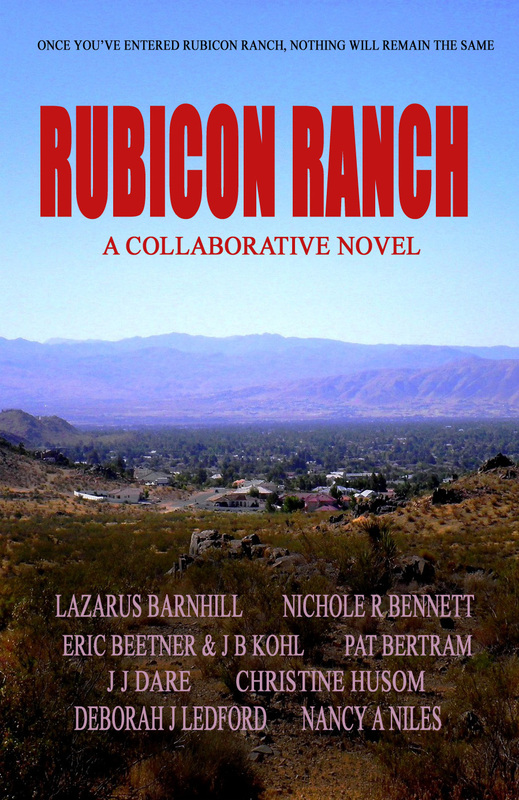 After months in preparation, Rubicon Ranch, a collaborative novel that will be written online by authors of Second Wind Publishing, is just days away! Recently widowed writer/photographer Melanie Gray finds the body of an eight-year-old child in the desert. Was it an accident? Or . . . murder! But who would want to kill Riley Peterson? It could be anyone in this upscale housing development. Everyone is hiding something. Everyone has an agenda. The girl’s parents, Jeff and Kourtney Peterson have an eight-year-old secret they will do anything to defend, perhaps even going so far as to kill their own child. If she is their own child. Honor student Dylan McKenzie has a secret life that gives him a feeling of empowerment. Does he find murder even more empowering? Psychologist Mary “Moody” Sinclair, has already killed one child. Is she adding to her resume? Sleepwalker Cooper Dahlsing is afraid he might have killed the girl. But is she his first victim? Or his second? The motto of private investigators Mark and JamieWestbrook is: “Make a quick buck, and don’t get caught.” Could murder their way of making a quick buck, or perhaps their way of not getting caught? Self-appointed neighborhood guard, eighty-two year old Eloy Franklin keeps watch for anyone who dares to endanger his Rubicon Ranch. Was Riley a danger? Sheriff Seth Bryan, a recent transplant, is overqualified for his job. Still, he finds compensations, his most recent being the mysterious Melanie Gray. Does she have something to hide? Or is she only protecting herself . . . from him? So who dunnit? We don’t know and won’t know until the end. With so many great authors involved, anything can happen! To make the unveiling of the killer even more interesting, after all the evidence has been presented, you can tell us who you want the killer to be. Please join us on our adventure -- it will be fun for all of us. Whatever a character does, it is for one basic purpose -- to strengthen his position in life and his security; all the chameleon-like changes for one reason only -- to remain alive, to be secure (overcome insecurities), to be happy, and most of all, to be important. Never overlook the importance of being important. Man has nothing more precious to defend than his self-declared importance, and he will defend it with his last breath. This sounds like a good start to developing a character, or at least a character’s inner conflicts. In fact, this is one of the themes of the grieving woman book I want to write. With her husband gone, so is her sense of self, along with her sense of importance. She might not have been important in the world’s eyes, but she was important in her own eyes because she was important to him. She tries to find importance through other people, but in the end realizes she has to find it in herself. So, in the book you are now reading (or writing) what makes the character feel important? What does the character do to defend his or her sense of being important? How does the character strengthen his or her position in life? How does s/he struggle to remain secure? What insecurities does s/he have to overcome? Is the character happy? What does s/he do to remain alive, both physically and mentally? Does s/he find happiness? Does s/he find importance? Novel = Break open the moment. Story = Collapse the moment. And there you have it: a book on fiction writing in a nutshell. "Breaking open the moment" is a phrase I picked up from the Green River Writers, and it means dispersing what's happening from a simple statement into an experience. In any piece of fiction, there is a pivotal moment: an important thing happens, an important discovery is made, an important epiphany is experienced. That moment might be the climax of the action (the Ring of Power is destroyed) or it might be the result of the action (Boo Radley returns our friendship). Novels take that moment and expand it with explorations of setting, multiple characters and characterization, emotions, senses, details, internal dialog, background, relevant subplots and dialog. Short stories have all these things, but collapse them, trimming subplots and multiple characters down or out, suggesting rather than exploring. The pivotal moment is front and center, and the diffusion of that moment is minimal. Flash fiction has been defined as from 300-1000 words, but I've seen "flash" as short as six words (Hemingway's "For sale. Baby shoes. Never used.") up to 2000. As you can see from the Hemingway example, flash fiction can be so collapsed that even the pivotal moment is only implied. So there you have it. Love to write novels and want to write a short story? Get an idea for your novel's pivotal moment and collapse the surrounding elements. Distill them to their essences. Love to write short stories and want to write a novel? Write a short story and then break open the pivotal moment. Sound easy? No? Maybe or maybe not, but I assure you it's doable. Go forth, ye writers! Go forth and have fun with it! Recently, I was reading about a Harris poll conducted among 2,775 American adults who’d read at least one book in the past year. The poll found that half of the adults had read a novel and the other half had read nonfiction. 48% of the fiction readers said they read mysteries, thrillers, and crime novels, while 25% said they read science fiction. This surprised me, as I thought it would be the other way around. Another 25% said they read literature, although that somewhat ambiguous term wasn’t defined. 21% of those polled also claimed to read romance novels and 11% said they read graphic novels. 8% of readers read chick-lit and 5% read westerns. Among the nonfiction readers, 31% read histories, 29% biographies, 26% religious and spirituality books. Political books were read by 17%, self-help books by 16%, current affairs were at 14% and true crime was reading by 12% of readers. Business books came in at only 10%. I found it interesting that 42% of the 18 to 33 age group were reading literature, and that only 18% of this group were reading graphic novels. Readers 65 years or more were more likely to read crime novels (61%) and westerns (9%). Not surprisingly, 57% of women read mysteries, but only 39% of the men polled read in this genre. Needless to say, far more women read romances than men, although 3% of the men did. Women also read more chick-lit and religious books, however 32% of men read science fiction compared to 20% of women. When it came to nonfiction, however, more men than women were reading history, political and business books. Not a lot seems to have changed over the years, except perhaps the increased interest in graphic novels. But as a mystery writer, it’s good to know that a lot of people still enjoy them. A savvy mystery writer will pay particular attention to the general tastes of women 65 or over. In the mystery world, authors are often warned to never kill or abuse a cat or a child in their story. The demographics in this poll could explain why. I have never seen the point of NaNoWriMo (National Novel Writing Month). 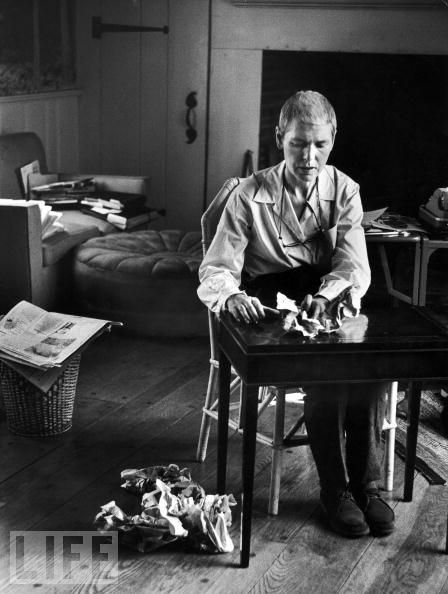 I always figured that those who wanted to write wrote and those who didn’t write didn’t really want to. I used to be in the first category, and gradually slipped into the second. After the past couple of years of editing, promoting my books, and blogging, I lost the habit of novel writing. Apparently, I don’t really want to write the books I want to write, otherwise I would have been writing them. Thinking that perhaps there is a book I want to write that I don’t know I want to write, I signed up for NaNo. The theory is that if you churn out the words without worrying about what you are writing, perhaps “you’ll start surprising yourself with a great bit of dialogue here and an ingenious plot twist there. Characters will start doing things you never expected, taking the story places you’d never imagined. There will be much execrable prose, yes. But amidst the crap, there will be beauty. A lot of it.” At least that’s what the NaNo people say. I won’t be adding to an existing book this time. (The above mentioned WIP is still paused.) I’ll be trying to write from scratch, following any idea no matter how silly, since there won’t be time to think of alternatives. The way I figure, I haven’t a thing to lose since I haven’t been writing anyway. At the very least, by doing NaNo, I will get into the habit of writing again. I’ll probably have fodder for several blog posts. But possibly, just possibly, I’ll come up with something wonderful. All heroes need a flaw to make them human, but it seems as if heroes today are more flawed than heroic. Perhaps that is why villains need to be so despicably evil -- it makes the unadmirable hero shine in comparison. Well, maybe not shine. Gleam dully, perhaps. If not for the utterly evil villain, we would think that the hero's actions were villainous. I suppose, in the fiction world, the end justifies the means, but the more unrealistic the villain, the more I'm aware that the conflict is an artificial construct. It seems that authors are trying to outdo each other to created the villainiest villain, but I don't think a writer has to resort to such theatrics to write a good story. We've talked before about the villain being the hero of his own story (which means that the hero is the villain of the villain's story). So, if a hero needs a flaw, a villain needs an unflaw -- something good to make him seem heroic, at least in his own mind. What do you do to keep your protagonist and antagonist in conflict and still keep it real? What is your hero's flaw? What is your villain's unflaw? Why does your villain think he is doing the right thing? If the story were inverted, and you told it from the villain's point of view, what would make your hero seem villainous to him? If this is too restricted a topic, or if it is too deep for a fine October evening, we can talk about our current projects. What are you working on? If you're not writing now, what are planning or hoping to write? This Cake is for the Party by Sarah Selecky, short story collection by Thomas Allen Pub. The Giller Prize awards $50,000 to the winner and another $5,000 for each finalist. This year, finalists were selected by Canadian broadcaster and journalist Michael Enright, American writer and professor Claire Messud and award-winning author Ali Smith. 98 books were submitted from 38 Canadian publishing houses. The prize was established as the Giller Prize in 1994 by Toronto businessman Jack Rabinovitch in honour of his late wife Doris Giller, a former literary editor at the Toronto Star, and is awarded each November. Something for all you Canadian writers to shoot for! Although I’m a fan of how-to writing manuals, I don’t read them voraciously. In fact, a number of books are still on my to-be-read pile and have been for a long time. I used to subscribe to Writer’s Digest and bought a number of books related to mystery writing. I have about of dozen titles, and one of my favorites is Deadly Doses: a writer’s guide to poisons. I’ve also read a number of good how-to books including ones by Dean Koontz and Michael Seidman. Three years ago, I was at the Surrey International Writers’ Conference and attended a workshop on point of view by journalist and mystery writer, Hallie Ephron. She too had written a how-to book called Writing and Selling Your Mystery Novel. I bought the book because I enjoyed the workshop so much, but I didn’t get around to reading it until last week. The reason is that I’ve discovered the benefit of going through a how-to book whenever I’m working on a new novel, and that doesn’t happen often. I’m now working on my sixth mystery, and as I started reading Ephron’s book, ideas were already flowing for my book before I’d finished the introductory chapter. I don’t know if this happens to other writers, but I find how-to books completely inspiring. The ideas flow so fast that I wind up using two notebooks: one for making notes I want to remember about mysteries in general, and a second for specific notes regarding my current WIP. All these notes slow down the reading process a fair bit, but it’s worth it. Ephron’s book is geared toward those who are planning to write their first mystery and while I already knew a lot of her tips, there’s some great stuff I learned and need to remember when incorporating my own red herrings and plot twists. If you’re interested in writing mysteries, I recommend this book, but regardless of what you write, pick up a how-to book and see if it brings inspiration as well as knowledge. She fetched his medication and quickly scanned the bottle. The prescription was for Vicodin, a narcotic pain reliever. She shook out two pills and poured a glass of water before approaching his bedside. “Thank you, Ann―Rhianna.” His breathing was strained. “JT, my dear. When you call me Mr. Lance, I feel so damned ancient, like some old geezer waiting to croak.” He chuckled at his own joke. After he was resting comfortably, she sat down in the chair and studied him. His thinning gray hair and handsome face suggested the rather dashing young man he must once have been. A once-strong jaw line, now softened by age and illness, still held traces of stubbornness. But it was his eyes, bright and kind, that held her attention. They seemed sad. Tired and sad. Nobody had ever asked her about her dreams. For nearly two years, she had hidden herself in the nursing home in Portland, afraid to let anyone too close. Afraid to dream. In that bedroom, sitting beside a dying man, she found more than an employer―she found a friend. Tentatively, she told him bits and pieces about her life. It started slowly, like a gurgle of water bubbling up from the center of the earth. Within an hour, Rhianna had told him all about her childhood, about the terror she had endured, and the fear and abuse that had drained her soul of all self-worth. 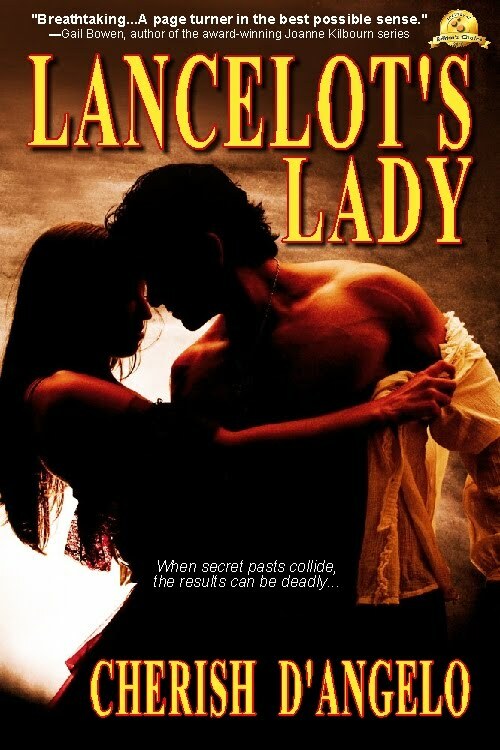 Lancelot's Lady is available in ebook edition at KoboBooks, Amazon's Kindle Store, Smashwords and other ebook retailers. 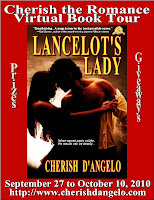 Help me celebrate by picking up a copy today and "Cherish the romance..."
You can learn more about Lancelot's Lady and Cherish D'Angelo (aka Cheryl Kaye Tardif) at http://www.cherishdangelo.com and http://www.cherylktardif.blogspot.com. Follow Cherish from September 27 to October 10 on her Cherish the Romance Virtual Book Tour and win prizes. What do you think about JT Lance? What do you learn about him in this scene? Do you like him?